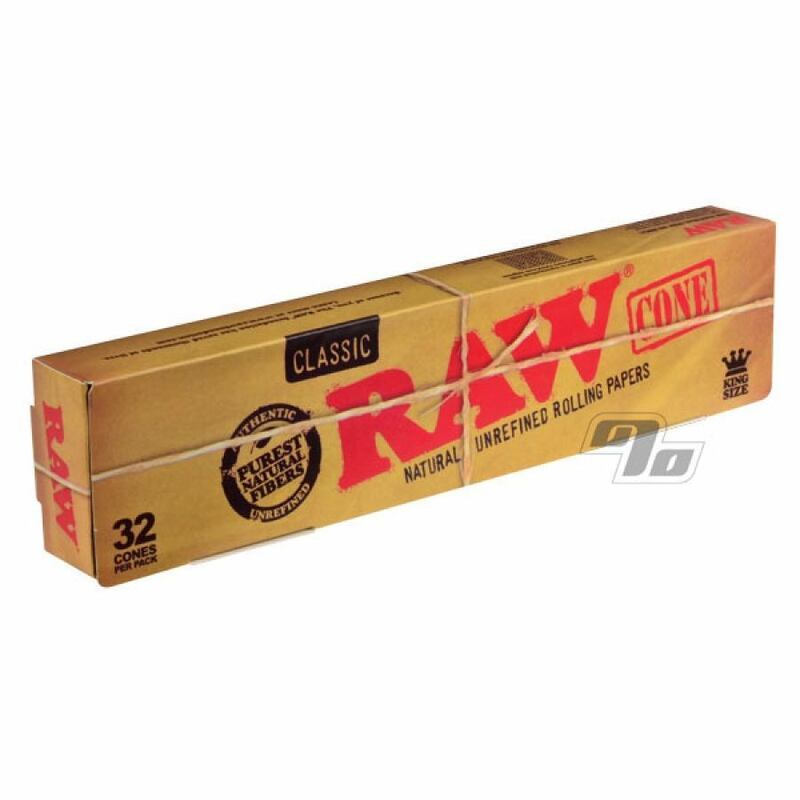 Party Pack of RAW Natural King Size Cones, pre-rolled for you with the same unbleached, natural paper you'd expect from RAW rolling papers. Get this economical bulk package of 32 individual king size cones with the Natural RAW paper; great for your next party or if you just like to share. Even the filter is included in the end of each cone. I love king cones! They make it so easy when you want to smoke longer. Smokes so well. Made well too. I find that using the King size means I use up more material than I usually would and it can be hard to start/keep going at first. good for passing between 1-3 people, though. Be careful if your material is dry because it WILL rip teeeeny little holes that you will have to patch. I find this happens less with the smaller sizes, though I'm unsure if it's just the way I pack it or the amount of handling it goes through.